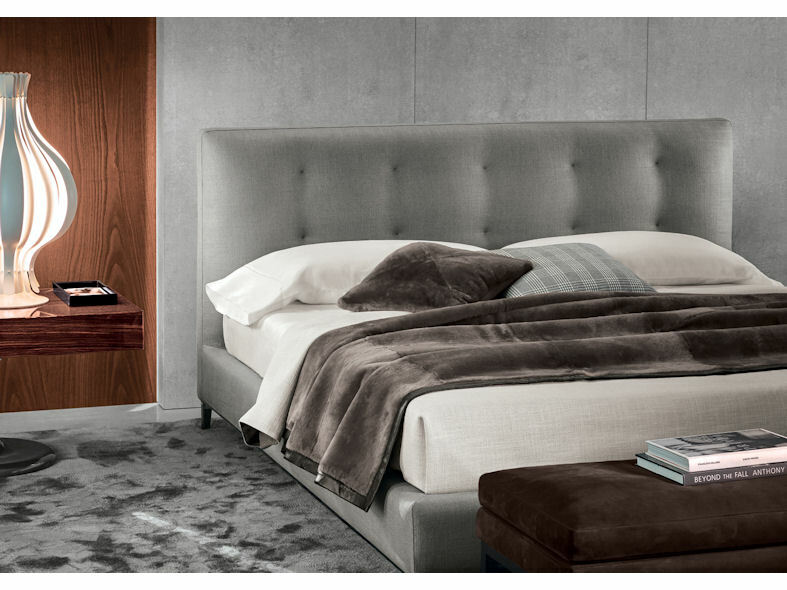 The Andersen Bed from Minotti reflects the aesthetic values of the Andersen Seating System. Its sleek straight lines, with raised frame and stylish feet in pewter coloured finish, mirror that of the Andersen Sofa. 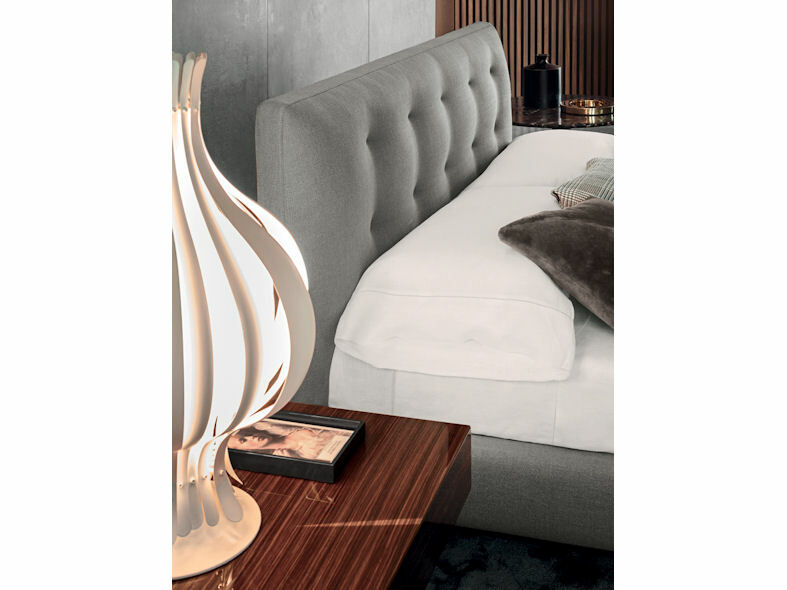 With its minimalist design and understated elegance the Andersen Bed features a generously padded linear headboard enhancing comfort and aesthetic appeal. 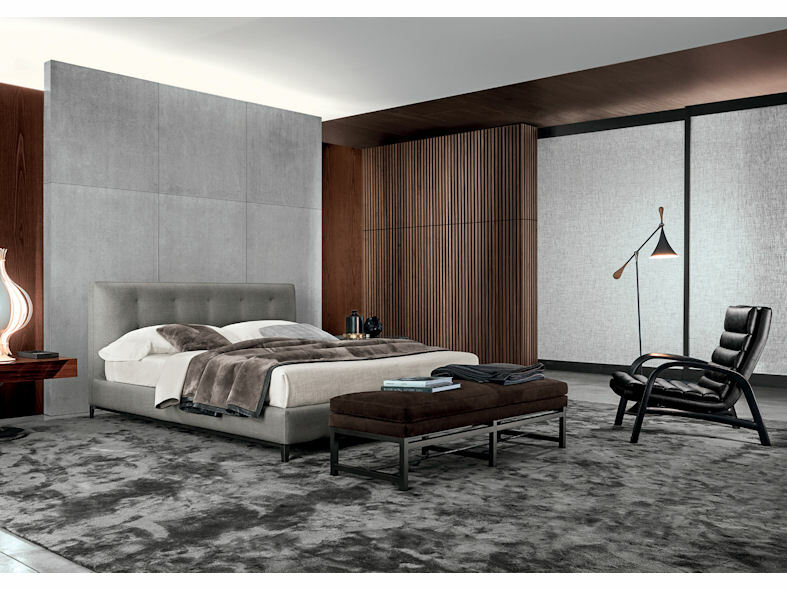 Minotti's Andersen bed creates the ultimate in style statements, looking great in any home setting.